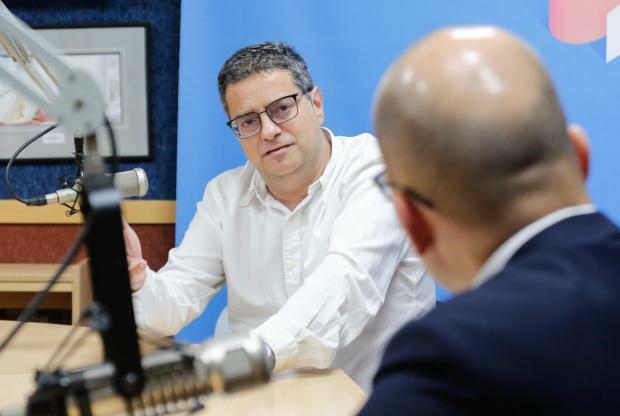 Opposition leader Adrian Delia on Sunday vowed that a PN government would hand back the money “stolen” from people being overbilled for their energy consumption. Speaking on Radio 101, Dr Delia said the government had created a system whereby people were being robbed every two months when they received their electricity bills. He repeated an appeal made earlier this month for people to bring their electricity bills to the PN’s headquarters. Dr Delia said the party would help people understand how much the government had “stolen” from them. The PN would fight to secure every single euro stolen from people. If this fight failed, Dr Delia said a PN government would give back to the people what the Labour government had refused to hand back to them. Prime Minister Joseph Muscat said on Friday that the government had commissioned a review of the system used by ARMS, the state-owned utility billing company. Dr Delia said on Sunday that the PN would strive to create a more caring society. He said many people were struggling to make ends meet, with hundreds of people now living in garages. “People have a right to live a decent life. Living underground in a garage is not a decent life. The PN will keep investigating these problems, and would start finding solutions”. Dr Delia said the PN had to serve as a platform through which people could share their aspirations and grievances. He said he did not want politicians to speak on behalf of people, but rather, the PN wanted people to speak directly about their problems. Dr Delia said the PN would then study these problems and try to solve them. The Opposition leader hit out at the danger, dust and noise being created by many of the construction projects around the island. He said there should be consequences for those who did not abide by the rules. There should be respect and dignity for all people living on the island, he said. Dr Delia accused the government of doing nothing to address these concerns. Instead, the government gave the construction industry a “steroid injection”, giving permits to everyone without any long-term planning. Dr Delia said he wanted Malta to be a normal country again, where tourists felt at home and people could live safely. He said the PN had a long-term vision for the country, one which sought to improve all people’s lives.